The Israelite Diet: Just Ask Yourself, What Would The Israelites Eat? There's a reason why the Israelites were able to make it through 100 years of slavery, 40 years in the desert... There laws regarding food were strict. Get two very strong points right here that can help you succeed with a better diet! Disclaimer: If any of my Bible verses are out of context, it is only because I am using them humorously. Don't be too offended by any blasphemous comments made, it is probably just a joke. I am a Christian and I mean no disrespect to scripture. Throughout the ancient world, one group of people clearly stood out above the others in their endurance and their ability to survive. This ancient civilization endured many wars, genocides and persevered under the harshest living conditions. Today, there is much we can learn from these ancient people. There's a reason why the Israelites were able to make it through 100 years of slavery, 40 years in the desert, and able to defeat the Canaanites. God had strict food laws and knew what he was doing when he blessed them with manna and quail (fiber and protein). Our bodies are designed to be healthy, productive and attractive (Jesus had a lot of women following him around... it's a joke, don't take it too seriously. LOL). It's about time that people learned to eat like God's people. That's why we should all eat like the Israelites! Just ask yourself, what would the Israelites eat? "Then God said, 'I give you every seed-bearing plant on the face of the whole earth and every tree that has fruit with seed in it.' They will be yours for food." Eating healthy is a lifetime ordeal. It's not about how much weight you lost this week but how much you weigh a month from now. Being healthy in the short term doesn't really benefit you much in the long term. A lot of diet plans work because if you drastically change your diet/lifestyle for a few weeks your body is going to respond by losing weight. 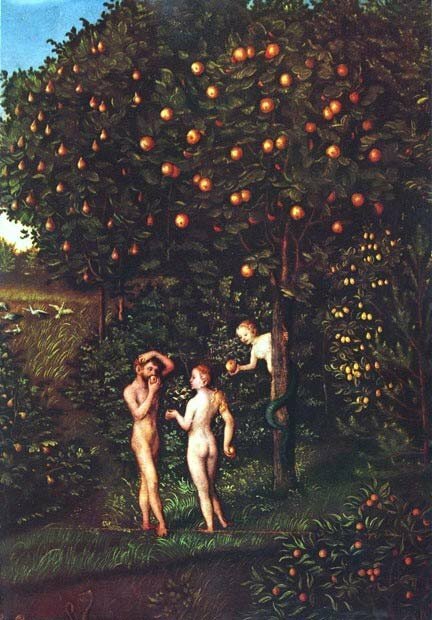 A 16th Century German Depiction Of Eden. Cutting out 1,000 calories a day is obviously going to create weight loss but it isn't sustainable. No one likes to be hungry. The key to eating healthy is not just cutting out bad foods but also adding good foods. Step 1: Don't Eat Anything From A Box! The Israelites were all about eating fresh foods. God didn't give them refrigeration for a reason. The longer the shelf life, the shorter your life! Our bodies are not designed to process preservatives. It's common sense that foods that come from a box are going to have preservatives, how else is it going to stay fresh on the shelf? 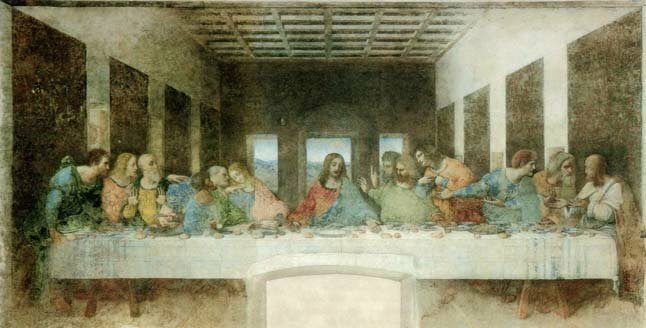 The Last Supper (1495-1498) By Leonardo da Vinci (1452-1519). In Some Traditions, The Daily Bread Asked For Is First Received During The Last Supper Of Jesus With His Apostles. Foods from a box are usually highly refined to the point where all the nutrients are gone and a whole lot of bad stuff is placed there instead. Plus, fresh foods just taste better. Would you rather have dried salty apples be included in your cereal or would you rather add fresh slices? God made is always better than man made. If it doesn't grow or have parents don't eat it! A whole lotta natural goodness with good fats and loads of protein/amino acids. potassium, Vitamins (A, E, C, etc. ), antioxidants. Step 2: Cut Your Losses! The Israelites knew about forgiveness. They did a lot of shady stuff in their past and they moved on from it. Once they learned that something was bad they stopped doing it. The past can't be changed, what's important is the future. "7When they kept on questioning him, he straightened up and said to them, 'If any one of you is without sin, let him be the first to throw a stone at her.' 8Again he stooped down and wrote on the ground." "9At this, those who heard began to go away one at a time, the older ones first, until only Jesus was left, with the woman still standing there. 10Jesus straightened up and asked her, 'Woman, where are they? Has no one condemned you?'" "11'No one, sir,' she said." It really isn't about what you used to do. Jesus is all about second chances. One of the keys to eating like an Israelite is to understand that you are forgiven. Don't dwell on your past. 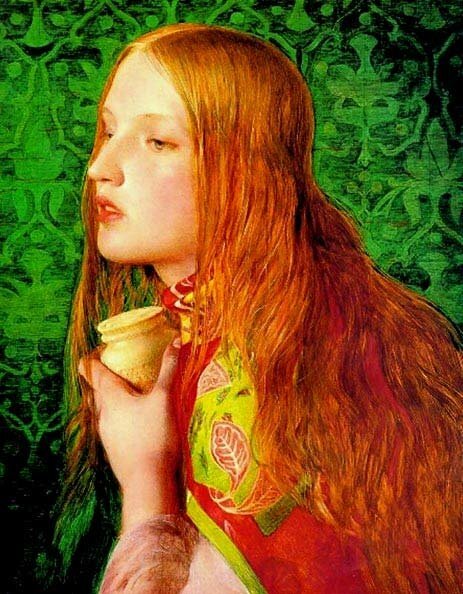 Mary Magdalene (1860) By Anthony Frederick Augustus Sandys. In Some Traditions, Mary Magdalene Is Considered To Be The Same Woman From John 8. What's done is done and you can't change it. So just ask for forgiveness and move on with your life. Eating McDonald's is pretty evil but once you accidentally splurge, let it go. Move on, the mistake that you shouldn't make is to eat unhealthy the rest of that day just because you already messed up one meal. Gaining weight and living unhealthily isn't the result of one meal but of numerous decisions made throughout the day. If you mess up one meal it's ok as long as you don't keep making the same mistakes. You will learn throughout the course of learning to eat healthy that many things you thought were good are actually very bad for you. Companies love to put labels like: "Smart", "Healthy", "Low-Fat", "Low-Carb" and "Natural" to entice consumers to eat their manufactured evil. Don't believe the hype and don't keep eating it once you find out it's bad for you! Cure your losses! A lot of people I encounter will realize that one of their dietary staples is unhealthy after they read a news article, hear from a friend or learn from experience. Yet, they keep eating the same thing because they wonder if it's so bad then how come they either feel fine or aren't seeing "too" many bad effects from eating it. The question isn't how are you doing right now, but the real question is how much BETTER could you be doing? When I first cut out white rice from my diet I noticed a dramatic change in energy and a huge improvement in my physique. I didn't dwell on how much damage eating white rice all those years did to my body. Instead I looked to the future and the power this new knowledge gave me. Brown rice naturally has more fiber and riboflavin, and less sugars than white rice. It is digested slower and is more filling. Look at the carbs, if you eat too much of this then you WILL gain weight stop snacking on cereal thinking it's better for you, calories are calories. Again, look at the carb content. Fruit juices are loaded with sugars such as high-fructose corn syrup to give it a better taste and consistency. Eat whole pieces of fruit; don't drink juice! You might think it's healthy but think about what makes a food healthy. Does it have loads of fiber, protein or vitamins? The most common answer is going to be no. If it does have vitamins it's usually added with synthetic ingredients. Why not just take a multivitamin if you want to get your daily dose of vitamins? These bars aren't the best ways to go. I am a Marine and student with a focus in communications. Some of my goals include helping others and getting ripped as much as possible.